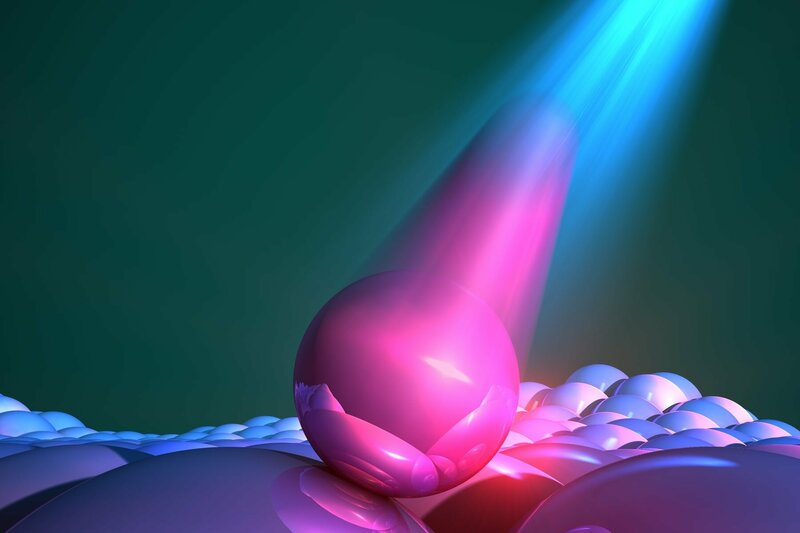 Tiny, easy-to-produce particles, called quantum dots, may soon take the place of more expensive single crystal semiconductors in advanced electronics found in solar panels, camera sensors and medical imaging tools. Although quantum dots have begun to break into the consumer market—in the form of quantum dot TVs—they have been hampered by long-standing uncertainties about their quality. Now, a new measurement technique developed by researchers at Stanford University may finally dissolve those doubts. Contrary to concerns, the results suggest that the quantum dots are strikingly defect-tolerant. The measurement technique is also the first to firmly resolve how different quantum dot structures compare to each other—quantum dots with precisely eight atomic layers of a special coating material emitted light the fastest, an indicator of superior quality. The shape of those dots should guide the design for new light-emitting materials, said Alivisatos. This research is part of a collection of projects within a Department of Energy-funded Energy Frontier Research Center, called Photonics at Thermodynamic Limits. Led by Jennifer Dionne, associate professor of materials science and engineering at Stanford, the center’s goal is to create optical materials—materials that affect the flow of light—with the highest possible efficiencies.